From Janet Jackson to Nigerian based acts like Caroline Danjuma, meet the female celebrities whose recent endavours are deeply associated with their marriage to successful husbands. Janet Jackson and Hubby Wissam Al Mana. Credit: E! 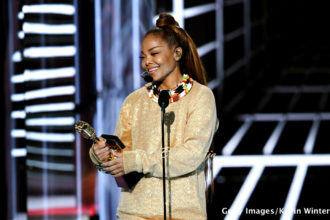 Worth close to $200 million herself, Janet Jackson’s marriage to Qatari billionaire, Wissam Al Mana, rubbed off on her career. The duo reportedly started dating in 2011 and married in an intimate ceremony in 2012. Ever since, the pop singer went under the radar, only surfacing in May 2015 to announce her Unbreakable world tour. In April, we reported Jackson’s surprising announcement that she and her Qatari husband are planning to have a baby, and for that reason, she paused her Unbreakable World Tour. While many fans congratulated her, some demanded for refund and pointed out that she was losing fans. They also noted the pop star had become famous at cancelling her tours. Though Jackson promised that she will be back by 2017, she is visibly staying away from the spotlight, a new lifestyle she adopted after her marriage. 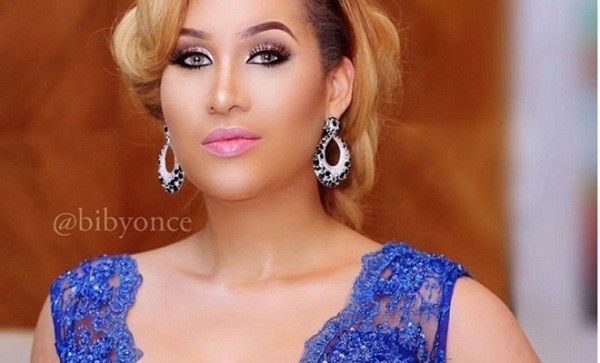 Caroline Danjuma is one of the most-talked-about Nigerian celebrities. Sadly, she is only ‘talked about’ when the drama is associated with her husband, Musa Danjuma’s infidelities. The actress’ previously thriving career seemed to have slunk into oblivion as only her family drama makes the juiciest headlines. In February, Ms Danjuma premiered her movie, ‘Stalker’, but her husband’s presence at the event stole the spotlight as their life dominated social media conversations, rather than the movie itself. However, Ms Danjuma had come to terms with the new path. Weeks ago, the actress finally confronted that reality after photos of Danjuma and yet another mistress surfaced. And in her detailed statement, she explained why she is not ready to call it quits. While she continues to produce her movies and run her businesses, the actress mostly makes headlines only when her husband’s name is attached to the topic. The former beauty queen and entrepreneur has launched various successful businesses, from her Dabota Cosmetics to the new venture, Dabota Life bottled water company. However, her rocky relationship with estranged billionaire husband Sunny Aku sweeps social media in a storm and gains more attention than her endeavours, as such influencing media reportage. The rumour of her divorce swept social media by storm months ago as sources confirmed she was filing for dissolution on grounds that the billionaire was still married to his previous wife. Blogger SDK, who published the divorce papers, added that the former queen fled her marital home months before she filed for a dissolution, as she feared for her life. While she is still yet to publicly admit to the failed marriage, she gains wide media attention only when the subject is about her marriage to Sunny Aku. Care to name other female celebrities who fall into the same category?